Paula Dawson Holograms, 2009, Photography Effy Alexakis, Photowrite. Opening 2012, Photography Effy Alexakis, Photowrite Berowra Visions: Margaret Preston and Beyond Study Day, 2005. 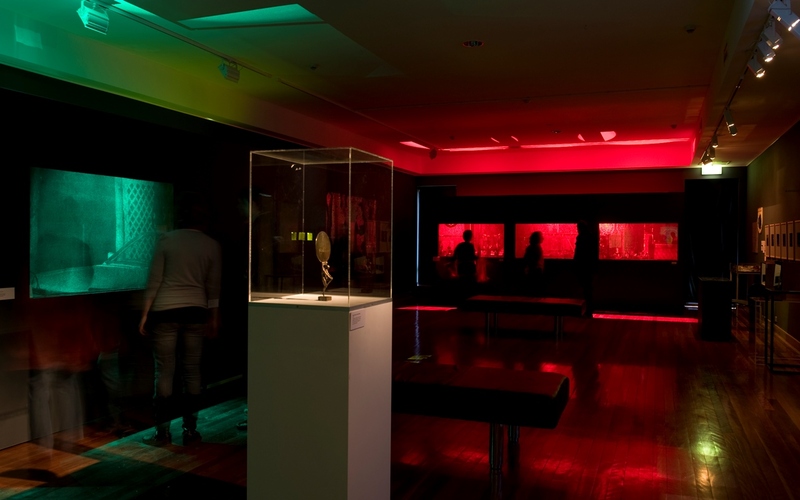 The Macquarie University Art Gallery was established in 1999 to provide the campus and local communities with a dynamic, changing program of approximately six exhibitions each year that will stimulate, inspire ideas and different ways of thinking. 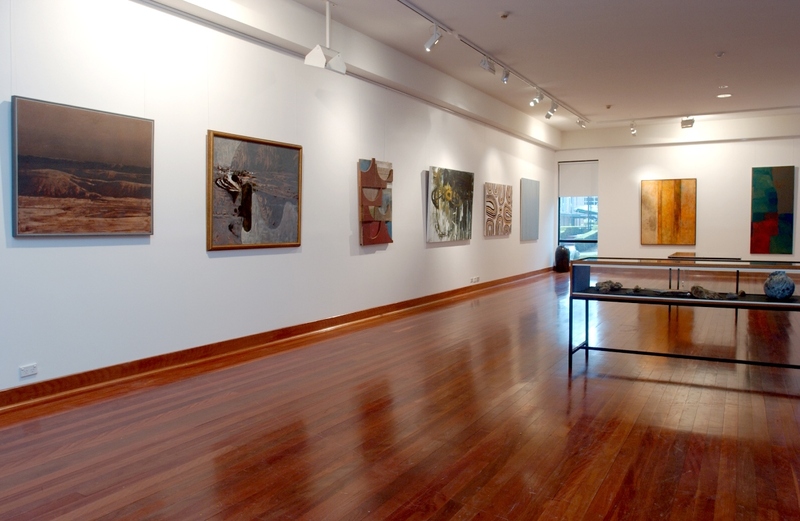 The Macquarie University Art Collection encompasses modernist works (Australian and International) and emphasises contemporary Australian art practice that include artists such as Bronwyn Bancroft, Marion Borgelt, Arthur Boyd, John Brack, Lawrence Daws, Paula Dawson, Ian Fairweather, Rah Fizelle, Sidney Nolan, Robert Rooney, Billy Thomas, Tony Tuckson, Fred Williams, Roland Wakelin, Rosemary Valadon, Jeremy Welsh and many more. The collection comprises a range of media from painting, photography, video, prints and drawings to glassware, ceramics and textiles. 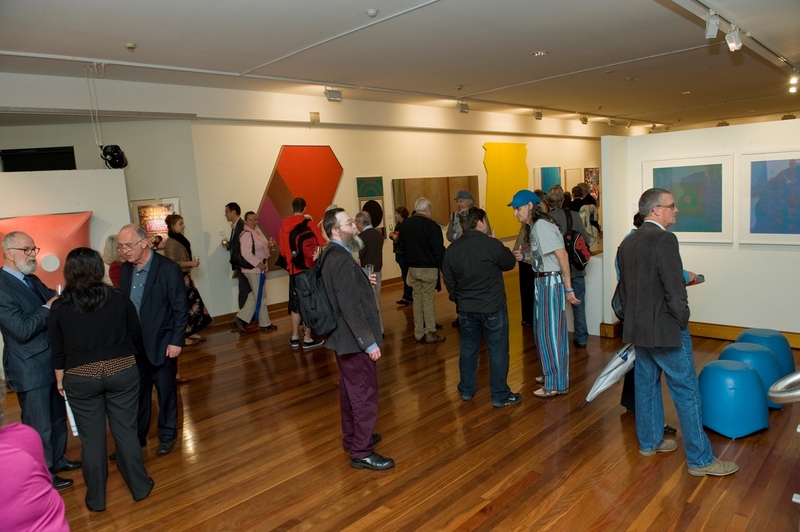 The University Art Collection forms a basis from which in-house curated exhibitions are developed that reflects the interdisciplinary nature of the art gallery’s mission in forging links with learning, teaching and research at Macquarie. Themes relevant to contemporary society form a strong focus, affording opportunities for both academic and informal learning to transpire, within the Art Gallery’s changing exhibition program.